Good news for our loyal Mobile Web Publishers! Another supercharged update, bringing you the best mobile social sharing experience. We are pleased to announce that we give you the opportunity to share mobile content to WeChat, Kik and Kakao with E-MAILiT Sharing Tools! Also, WhatsApp, Facebook Messenger, Skype, Viber, Line, Telegram and SMS has already been added to the list of mobile services to share to. WeChat is a mobile text and voice messaging communication service developed by Tencent in China. It is one of the largest standalone messaging apps by monthly active users. Kik is an instant messenger application for mobile devices. 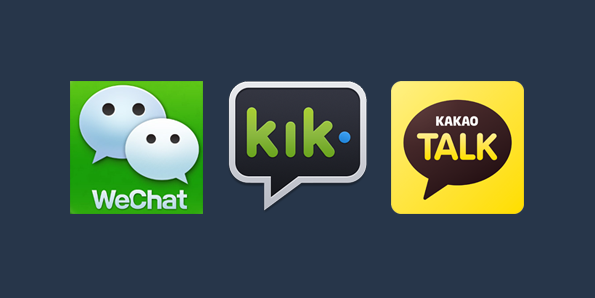 According to Kik Interactive, as of December 2015, Kik had approximately 240 million registered users, and was used by approximately 40 percent of United States teenagers. Kakao is a free mobile instant messaging application for smartphones with free text and free call features. Kakao currently has 170 million users and is available in 15 languages. The app is also used by 93% of smartphone owners in South Korea. Furthermore, we enriched our After Share Promo feature and we have added much more Following Services. You can now increase your followers on 32 Following Channels! Sharing anything, anywhere, made easy with E-MAILiT Share Buttons! Visit our website https://www.e-mailit.com for more information and get for free your own Social Sharing Buttons for any website.